The answer is yes. Definitely. Art and creativity. On any scale. Takes me away. Conjure up images. I like the bold "Rural Texas". The reserved "Really". Nice work. Looks like a good event. Did you make the poster? Could that be coming up this weekend? NOT this weekend (if ever), it's still very much summer here. Maybe October.Just doodling some ideas in my journal for fun, and assessing feasibility. Nice. 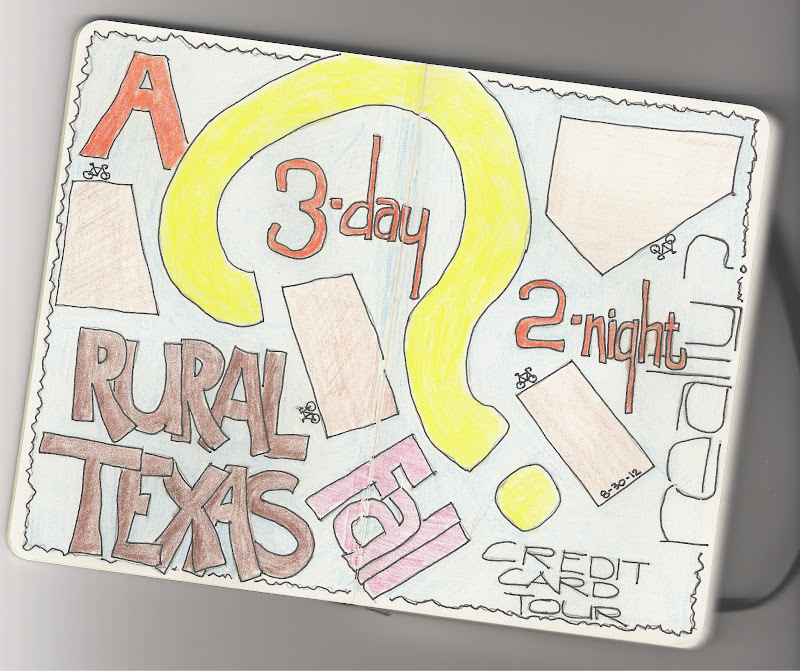 I love graphic journal entries!